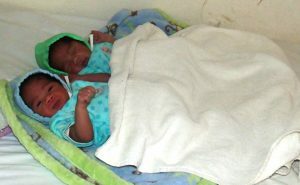 Global Birthing Home Foundation (GBHF) is a US 501(c)3 nonprofit charity that supports Maison de Naissance (MN, “Home of Birth”), a maternity center in an impoverished community of rural SW Haiti. 2016 was a memorable year at Maison de Naissance, from the resumption of deliveries in early June to the shock of Hurricane Matthew and its aftermath in October. While only 131 babies were delivered at the center in 2016, the monthly numbers are growing steadily, and by mid-2017 we expect to be back to full capacity at 50-75 deliveries per month. We launched our first (and hopefully last) community relief operation after the hurricane, providing food, hygiene supplies and temporary housing to almost 700 local families, from October through December and into January. 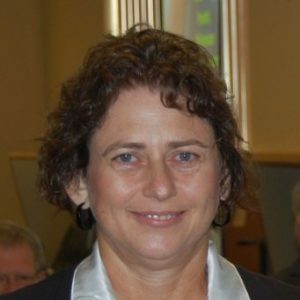 At home in the USA, Global Birthing Home Foundation welcomed Janice Taylor to the board of directors, and as our volunteer Development Director, a much needed addition. We also celebrated Maison de Naissance becoming the first independent maternal health center to receive a permanent license from Haiti’s Ministry of Health and Population in March, and we had our 12th anniversary party in September. Finally, with your support, we weathered and recovered from the worst hurricane to hit Haiti in over 50 years. From all of us to all of you, thank you for making all of this possible! When a relief team of three set out for Maison de Naissance after Hurricane Matthew, (Jim Grant, Executive Director; Dr. Abbey Masonbrink, board member; and Andy Smith, Solar Power Engineer), they had no idea how complete and overwhelming the destruction would be. Hurricane Matthew was classified as a category 4 storm, just shy of category 5, the worst possible in modern meteorological terms. After witnessing the destruction first hand, our team could not reconcile the near complete devastation of an entire region with that single digit number. Amazingly, in typical Haitian fashion, it seemed everyone had picked themselves up, dusted themselves off, and gotten on with the business of living. Farmers were working in their fields, women were doing laundry and hauling water, and children going to school. 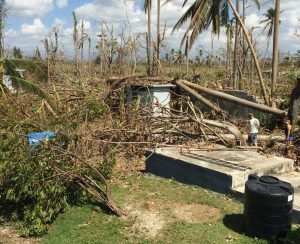 Families had strung tarps, sheets, and blankets over the ruins of their homes and were picking up the pieces of their lives that could be salvaged. The good news was that no one at Maison de Naissance or in the local community lost their life or suffered serious injury, and the 48 panel solar array on the roof was incredibly intact and unscathed. We are very glad to report that, as of the completion of the fourth relief and recovery visit in mid-January, the center is back to 100% operability, and functioning at peak efficiency again, with thanks to you, our donors and supporters. Efforts to restore housing in the community are ongoing, with a sense of hope now instead of futility. Day by day, progress is measured by the smiles we see on the faces of the patients, and the happy results – healthy mothers and healthy babies! Join Us for an Immersion Trip – ‘Haiti 101’! Experience the strength, beauty and resilience of Haiti and its people on a one week immersion trip with an experienced guide. Your eight day journey will take you through the capital city, Port-au-Prince, down to the southwestern peninsula and the towns of Jacmel and Les Cayes, where you will explore this lesser known but most beautiful region of Haiti. 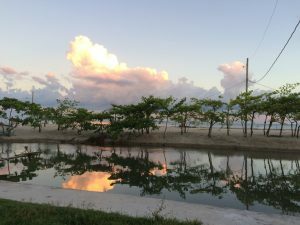 Your guide will take you to visit Olive Tree Projects’ birth center; Maison de Naissance maternity center; the Bishop Tharp Business and Technology Institute (BTI, a local community college); the Les Cayes Botanical Gardens; and Gelee Beach, for a delicious beachfront meal. The next trip is scheduled for June 4 – 10, 2017. 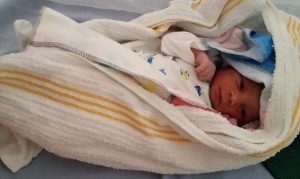 To request trip itinerary details and cost per person, or to sign up, please email: info@globalbirthinghomefoundation.org. (Kansas City) We are proud to partner with the Kansas City Crusaders in the Tickets Fore Charity program. You can give the gift of golf to someone, and 100% of your ticket cost to this professional golf tournament will benefit Maison de Naissance! Click the link below to purchase tickets. During the ticketing process, look for “Other Information”, and select Global Birthing Home Foundation from the drop down list of recipients. Thank you for your support! Working to reduce maternal and infant mortality rates in impoverished communities.